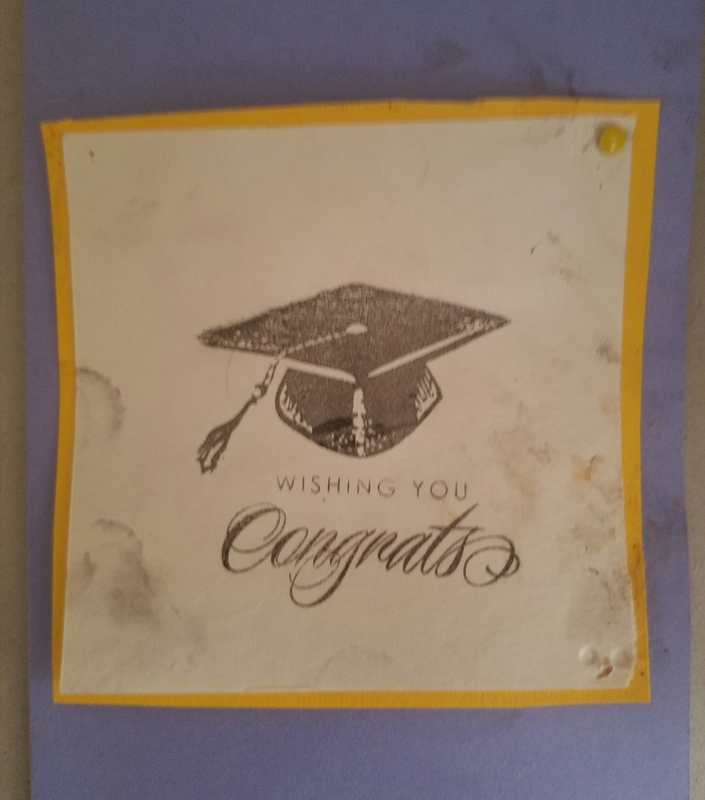 First is a simple card for that college graduate I-made with a stamp on the cover in L S U colors – go Tigers ! Hidden inside a tiger sticker. A card made in golds with stickers and hang tag. Not your typical colors but this gate card is fast and easy. 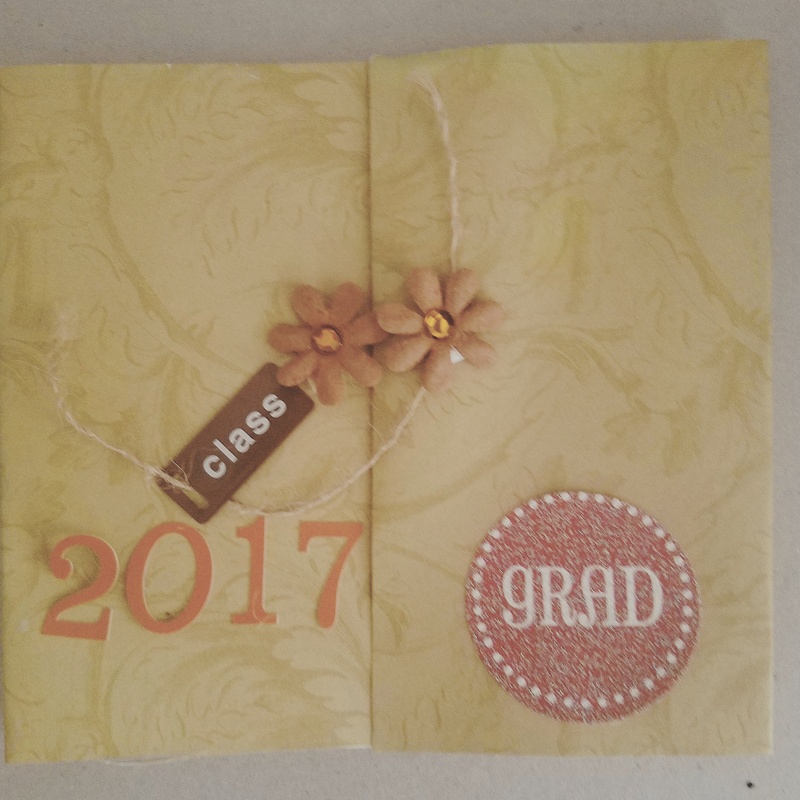 This entry was posted in crafts and tagged cardmaking, Graduation card. Bookmark the permalink.